VICTORIA, British Columbia — Some 200 participants from seven countries took part in the first industry day for Canada’s proposed purchase of a new fighter jet, but one company was notably absent — Boeing. Canada has announced it will buy 88 new aircraft in a project estimated to cost more than CA$16 billion (U.S. $12 billion), but Boeing has not said whether it will take part in the competition. Boeing has been involved in a dispute with Canada that started last year when the company asked the U.S. Commerce Department to investigate Canadian aerospace firm Bombardier. Canadian officials said as many as 108 firms took part in Monday’s gathering that outlined the basic parameters for a next-generation fighter jet. Canada will now develop a list of suppliers — foreign governments and their aircraft manufacturers — who have expressed interest in the Canadian program. A request for proposals for the new jets is expected to be released in spring of 2019, said Troy Crosby, director general for defense major projects for Public Services and Procurement Canada, the federal department coordinating the acquisition. A contract would be awarded in 2021 or 2022. Lockheed Martin’s F-35, Eurofighter Typhoon, the Dassault Rafale and Saab’s Gripen are aircraft that could be considered. Industry sources say representatives of those firms took part in the Canadian meeting. Officials from Boeing were not involved, although members of the U.S. Navy, which operates the company’s Super Hornet jets, were present. In Boeing’s dispute with Canada, the company claims that Canadian government subsidies allow Bombardier to sell its C Series passenger aircraft in the U.S. at cut-rate prices. 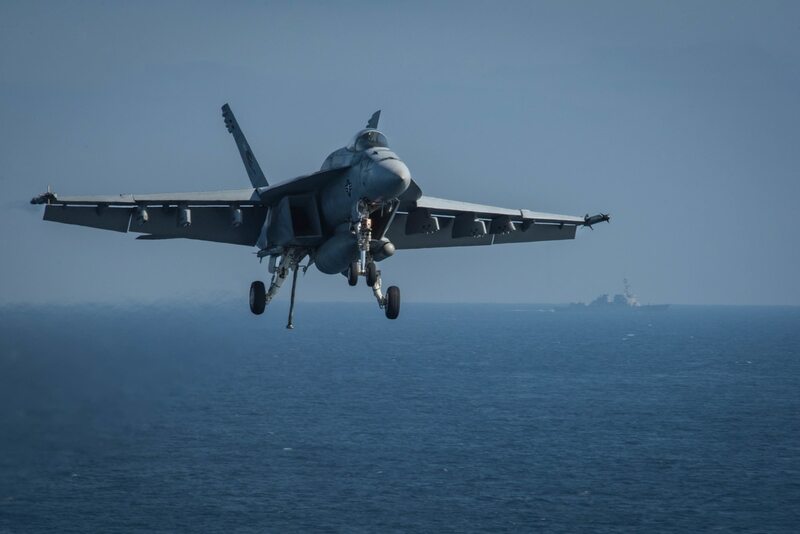 As a result, the Trump administration brought in a tariff of almost 300 percent against Bombardier aircraft sold in the U.S.
Will Canada abandon its deal with Boeing for new Super Hornets? And what other options does it have? In retaliation for Boeing’s actions, Canada canceled its plan to buy 18 new Super Hornet fighter jets in a deal that would have been worth $5.23 billion. Boeing spokesman Scott Day said the firm believes the Super Hornet is a low-risk, low-cost approach that has all the advanced capabilities the Royal Canadian Air Force needs in the future. “We will evaluate our participation in Canada’s Future Fighter Capability project after the government of Canada outlines the FFCP procurement approach, requirements and evaluation criteria,” Day said.